Compact. Durable. Functional. Lightweight. 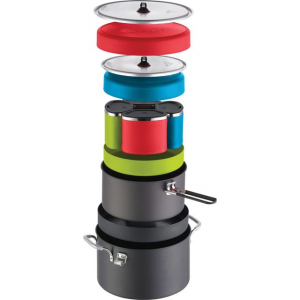 If you are looking for a back country cooking system for 1-2 people, the MSR Trail Lite Duo System is a good solution. 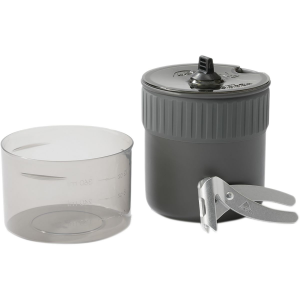 The Trail Lite Duo even provides storage options for small backpacking stoves and cooking accessories. I recently purchased the MSR Trail Lite Duo System for a section hike on the AT with my son and nephew. 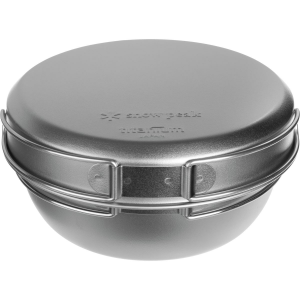 I let my nephew use my old aluminum mess kit while my son and I used the Trail Lite Duo System. During our trip I was impressed by the compact design and functionality of the Duo system. Everything we needed to cook and eat with fit inside the 2L pot including the two bowls, two cups, and my MSR PocketRocket stove, matches, lighter, and 3 sporks. The bowls were durable and deep, which allowed us to eat a variety of foods and soups. 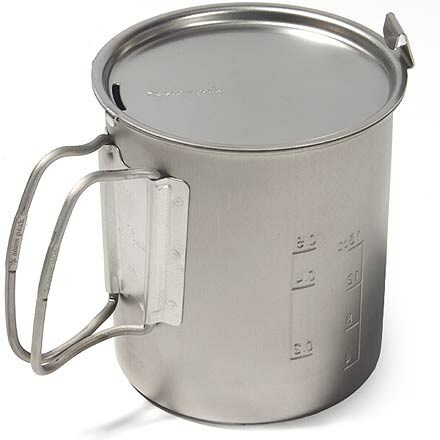 The pot was big enough to boil water for 3 people's meals, yet the attached handle made it easy to use and pour. Cleanup and storage were easy as well. 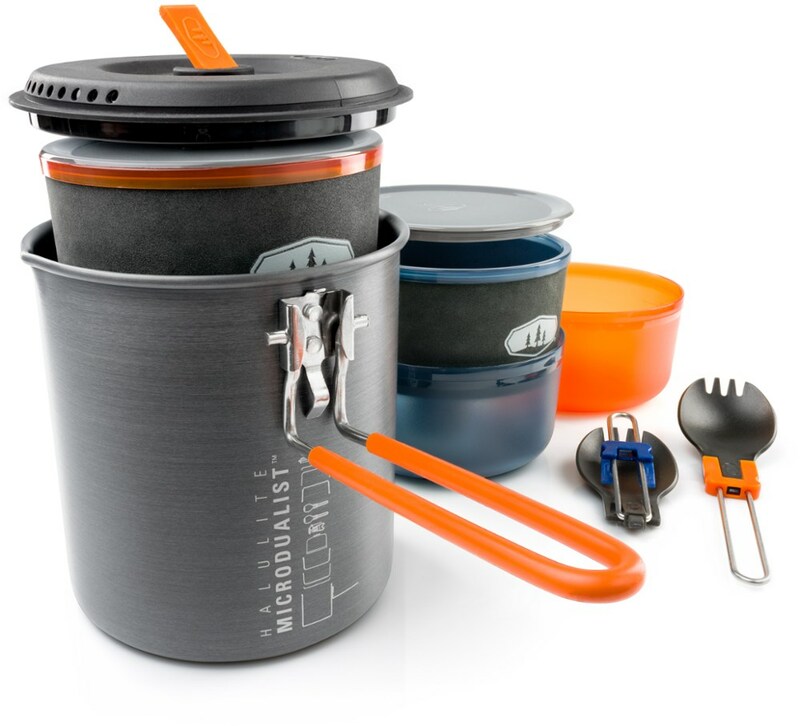 I would definitely recommend the MSR Trail Lite Duo System if you are backpacking with a partner. 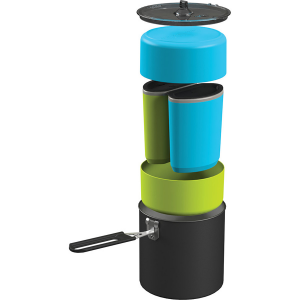 However, even if you're solo hiking the Duo system may be a good choice because of the multiple configuration / storage options it provides. 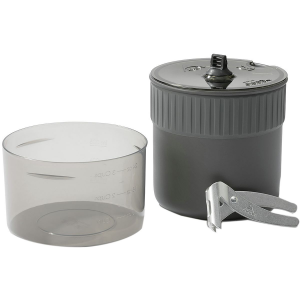 For example, you could remove a cup and have room for not only your backpacking stove but also a fuel canister or other items. MSR makes some good stuff. Thanks for the review, Tom.